especially if you don’t have room for a full Christmas tree. You’ve got to have somewhere for Santa to leave all those hot toys this year! So…. 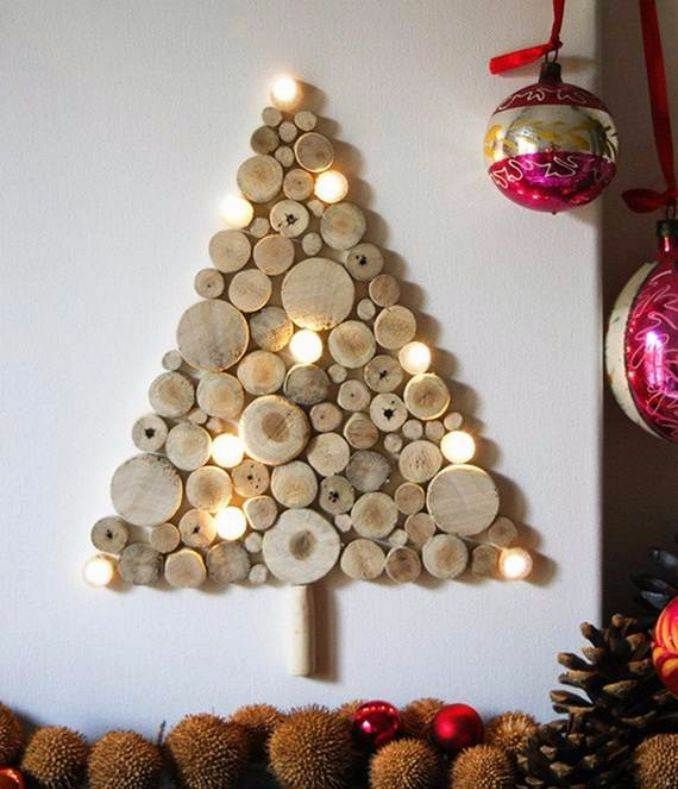 let’s hang a Christmas tree on the wall and let’s get creative with it. 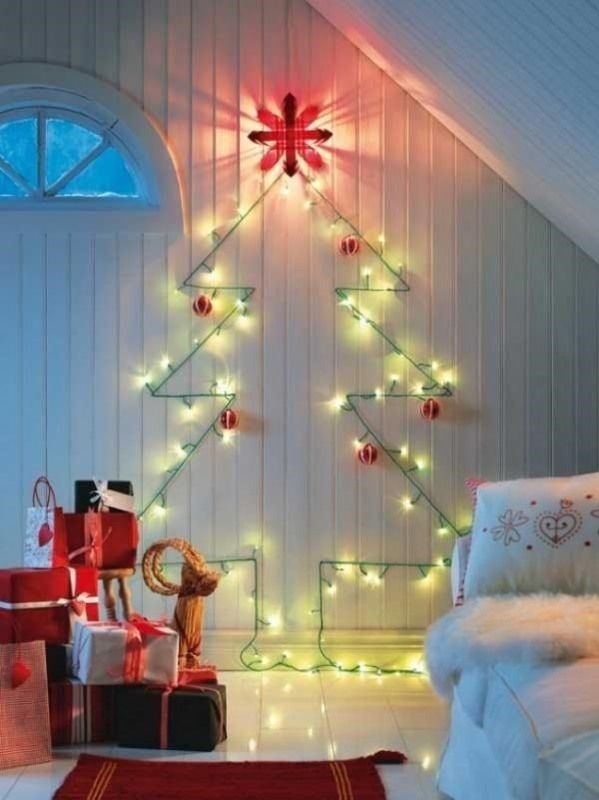 Below are some really clever DIY wall Christmas tree ideas that we LOVE. Isn’t this a creative idea? 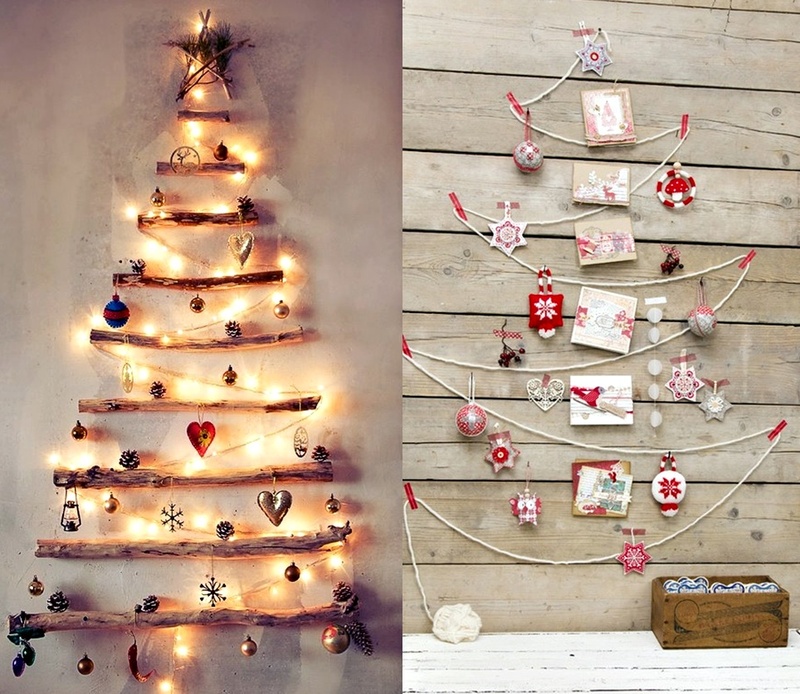 Make your wall Christmas tree out of wood and lights – love the rustic feel of it! These are super CUTE DIY Wall Christmas Tree ideas – love the one with lights! 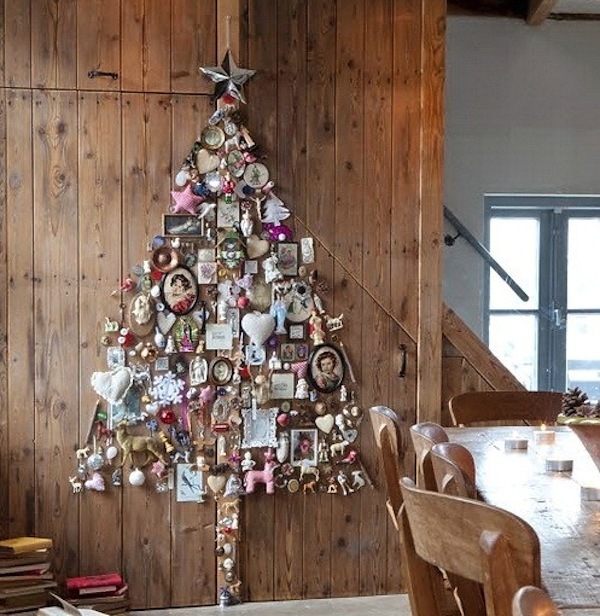 This DIY wall Christmas tree is super cute – has a shabby chic look to it. Very creative! DIY Wall Christmas Tree with Lights – so simple with just the outline of the tree in lights and the star. I LOVE it!